One drawing at a time. If the pack artwork above means anything to you... congratulations! These are two exceptionally unique sets from the historic Pokemon Trading Card Game. That being said, I understand that I have introduced the grammatical curiosity of labeling TWO sets as unique, but I believe that these two combined sets have a unique and singular vision. A quick flip through the dusty Pokemon card binder of any 20-something will show you the striking characteristics of these cards included a Gym Leader's name in the title and their portrait and badge artwork in the bottom corner. While this may not seem like much, if you were a fan of Pokemon Red and Blue these subtle differences were the connective tissue that helped bridge the gap between a digital world of fantastical monsters and something that you could physically hold in your hands. When I was younger, I was fortunate enough to have parents that went out of their way to take me to comic stores. In the early 2000s comic stores functionally equated to Pokemon card stores, and they offered something that big box retail of the day did not. Singles. Individual cards for sale, and this method of shopping gave an excited 2nd grader complete control over the cards he was able to take home. Finally, a way to avoid the emotional letdown of your black star rare being a trainer card that you didn't want. However, the one barrier to this revolutionary method of shopping was price. Even if you aren't overly familiar with Pokemon cards, you've undoubtedly heard the stories about a 1st Edition Base Set Charizard paying for half of a brand new Toyota Camry. So imagine my surprise when a little comic book shop in Washington D.C. was selling the common and uncommon cards from Gym Heroes and Gym Challenge for 10 cents a piece. Revolutionary artwork featuring the characters I was desperate to learn more about fitting into the budget of a $3 a week allowance was my childhood definition of a perfect storm. Flash-forward to this 20-something opening his Pokemon card binder to find a modest collection of Gym Heroes and Gym Challenge cards that included a complete set of non-holographic Gym Leader Trainer cards. 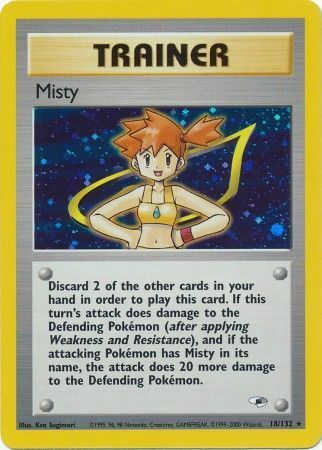 These cards featured each Gym Leader and their corresponding badge, and this created new perfect storm. An art project perfect storm. Task: Create and 18X24 illustration featuring 8 Gym Leader Pokemon and a spot for all 8 Gym Leader cards. To start this project, I took some sheets computer paper and did quick sketches of each character so that I could get their shape dynamics correct. Once all of the characters were complete, I cut them out to arrange them in a aesthetically pleasing composition on the 18X24 paper. Follow that up with some creative use of a light-table and my trusty 4H lead, and I had the rough outlines that were ready to be inked! Zebra Brush Pens are quickly becoming my go-to inking tools, and except for the spots blacks they were all I needed to finish this image. Pokemon provide a tremendous opportunity to develop your inking abilities, and with just 8 characters you can practice with a variety of shapes, textures, and line dynamics. As I get more and more comfortable with my inking tools and abilities, I really feel like this is the portion of a project where it truly becomes an illustration. Inking takes a lot of practice, but the illustrative rewards it provideds are well worth it. The coloring for this project is, temporarily, on hold. The original plan was to use Copic Markers that match the original color translations of the sprites, but this is a pricy rendering method. I am considering watercolor and colored pencils as an alternative, but I need to do some tests before I fully commit to this option. If this piece gets any color, I will be sure to post about it here and on my social media accounts. I hope you enjoyed this trip down memory lane, the behind the scenes look at the process, and the final illustration.